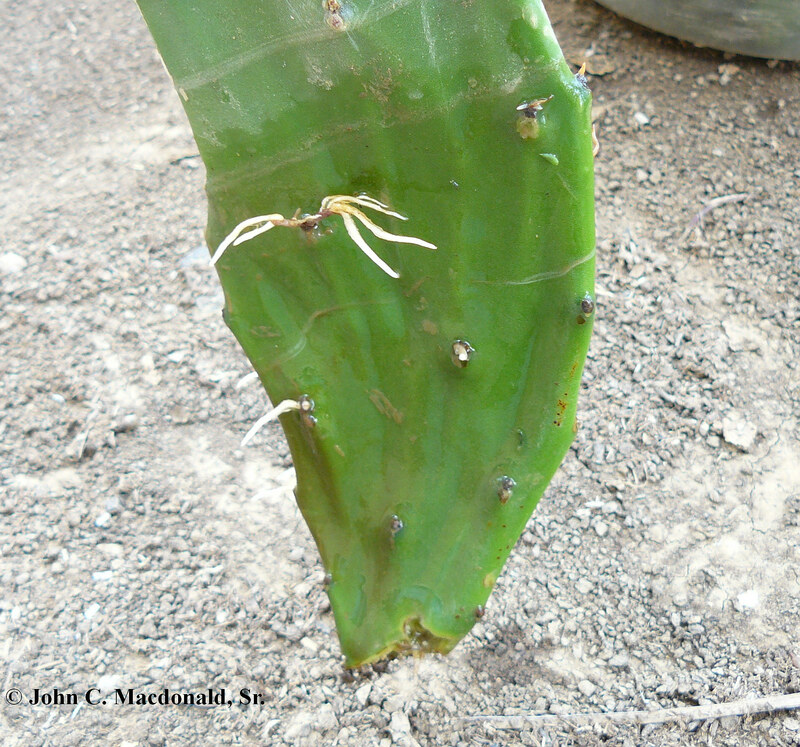 Just sixteen days ago we published a post about planting tuna (prickly pear cactus) along the strip of land between our front yard area and the parking lot. 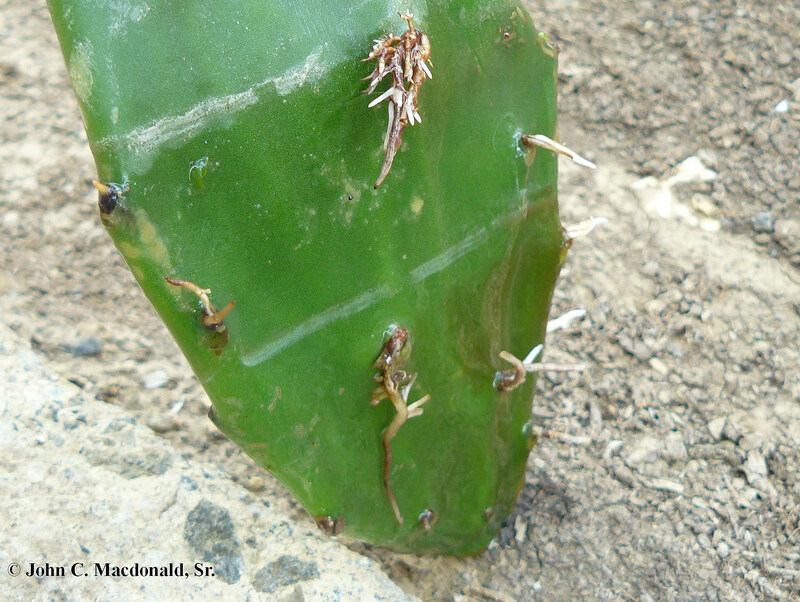 We had simply stuck some cactus leaves we had received from our friend Jeanne into the ground and began watering them in place. We were not sure if these would take well in the sandy soil, so we put the remaining clippings into a bucket of water to see if they would take root. On Sunday morning I went out to see if the leaves in water had sprouted roots. Oh yeah, I guess they had! We thought it was high time to plant some more tuna.